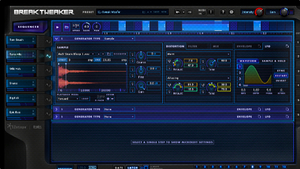 KitMonsters – iZotope BreakTweaker. The music makers’ guide to making music. 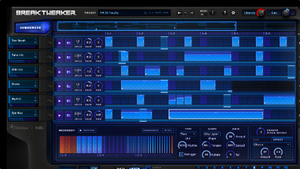 BreakTweaker is a groundbreaking MicroEdit Engine, that opens up a whole new world of rhythm. 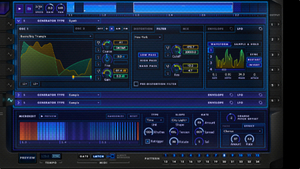 It is designed by Grammy-nominated composer and technologist BT, and developed by iZotope, and is a drum machine and a drum sculpting and beat sequencing environment that blurs the line between rhythm and melody. 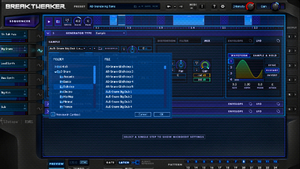 You can give your beats an ever-evolving depth that gets better the longer they play, and use rhythmic slicing to drive everything from pitched melodic lines to sweeping rhythmic overtures. 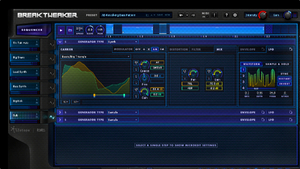 It includes a drum sample library, presets and wavetables made and curated by BT, iZotope, and top producers. playback speed settings. 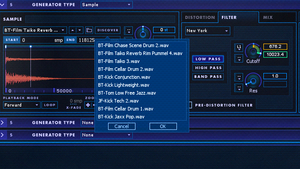 You can craft your own drum sounds: blend drum samples with robust synthesis features to generate compelling hybrid sounds, and take control of your beats: easily trigger and sequence complex patterns and samples. It comes with over 2 GB of professional, royalty-free content.